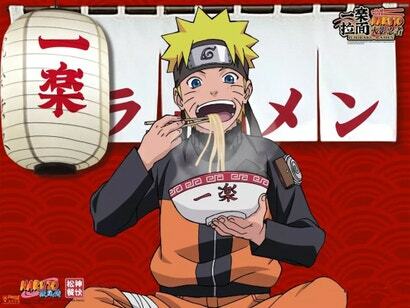 Naruto’s favourite noodle joint is Ramen Ichiraku. There is now a licensed one in Shanghai, filled with Naruto stuff and serving up ramen. It’s the first official Naruto ramen restaurant in the world. The in-manga and in-anime counterpart is based on a real place called Ichiraku Ramen in Fukuoka where it’s said Naruto creator Masashi Kishimoto frequented in college (below). 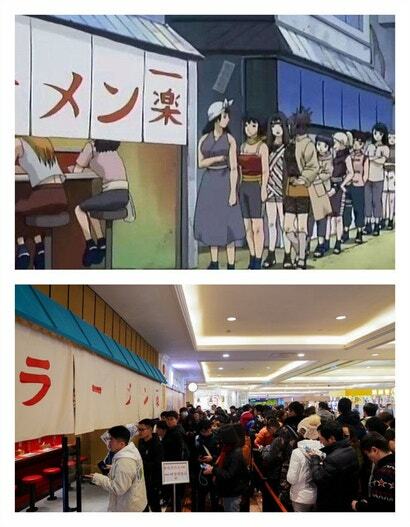 You could also eat Naruto ramen at J-World Tokyo, when it was open. However, this Ichiraku Ramen is different—it’s a full-on restaurant, serving ramen and filled with Naruto stuff. The licensed Naruto-inspired Ichiraku Ramen opened its doors this past February at the Global Harbour shopping mall in Shanghai, with fans lining up for hot, delicious noodles. Have a look at more photos below! 我愛羅炒飯 是葫蘆造型???? - 味道超不OK???? 還是吃拉麵就好???? - #我愛羅#火影忍者#拉麵#煎餃#上海#晚餐#上海生活#好吃#晩ご飯#美味しい#ラーメン#ラーメン巡り#満腹#焼き餃子#ナルト#一楽ラーメン#naruto#Shanghai#dinner#yummy#shanghailife#shanghaieats#zaishanghai#hotpot#ramen#shanghaifood #instagood#photooftheday#instafood#instayummy ???? 感動IG復活了???? - 然後草稿全消失???? - 火影忍者主題拉麵???? - 吃的是情懷???????????? - 豪華特製拉麵78???? - #火影忍者#拉麵#煎餃#上海#晚餐#上海生活#好吃#晩ご飯#美味しい#ラーメン#ラーメン巡り#満腹#焼き餃子#ナルト#一楽ラーメン#naruto#Shanghai#dinner#yummy#shanghailife#shanghaieats#zaishanghai#hotpot#ramen#shanghaifood #instagood#photooftheday#instafood#instayummy ???? #一乐拉面 #一楽ラーメン 人真多……都是#火影忍者 #naruto 迷吧哈哈??? ?